Just outside the Muswellbrook Regional Arts Centre. 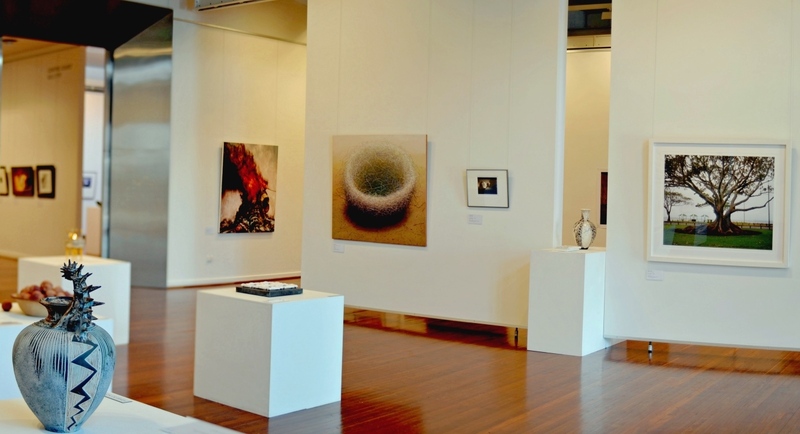 The Muswellbrook Regional Arts Centre presents travelling exhibitions, local exhibitions and two significant art prizes–the Muswellbrook Art Prize and Muswellbrook Photographic Prize. Muswellbrook Regional Arts Centre manages Shire Collection originally founded through the Art Prize in the late 1950s. Astute adjudication of the prize has seen an excellent cross-section of mid 20th century Australian art enter the collection. The Max Watters Collection, bequeathed in 2004, spans about 40 years of mid to late 20th century Australian art representing major developments in this period through the work of artists such as Tony Tuckson, Ken Whisson, Danila Vassilieff, Grace Cossington-Smith, John Perceval, John Plapp, and Euan Macleod. Established in 1976, the gallery was housed in a purpose-built annex attached to the Muswellbrook School of Art until redevelopment of the School of Arts building began in 2000 to convert it to a modern regional gallery. Muswellbrook Regional Arts Centre is located on the New England Highway three hours drive northwest of Sydney and roughly two hours from Newcastle. Next time your’e going north, drop in and see us! Come along and enjoy our steaming hot espresso and a tasty snack.